Day 4 of April sneak peeks! Welcome to the last day of sneak peeks! Tomorrow is the day you can make all that you've seen yours! This set is so elegant! We are sure you are going to love giving your girlfriends cards made with this set! What would France be without an Eiffel tower to set off everything Fashionably French? What a beautiful butterfly for an accent! I think everyone knows someone that is in martial arts! I would love to see some scrapbook pages with this set! Good news! For the first time ever, we are going to let you purchase the stamp of the month! You can still earn it for free with a $50 order, but if you don't have a $50 order you can now purchase it for $5.99! Day 3 of April sneak peeks! I am going to have to get a card made for my MIL and FIL with this set! They are cow farmers, and my MIL collects cows....how fun! Perfect for scrapbook pages....take a look! The extra Barn image can be found on Wendy's digital site! This set is a new look for us, and one we think you will like! This girl can say a lot with a piece of fruit! Here is another stamp that is a scrapbook page in the making or cards for your favorite skater! Do you remember our Happy Camper and Happy Trails sets? Well, this set goes perfectly with them! I know this will make adorable scrap pages and cards! This is a mini notebook! Doesn't this little muffin make you hungry? I'm picturing the melted chocolate chips and the just slightly crispy muffin top.....ohhhhhhh yummy! See you tomorrow for day four of sneak peeks! Day 2 of April sneak peeks! You are going to fall in love with this set.....BEFORE you see the samples. You will then HAVE to have this set AFTER you see the samples! Check out our Design Team samples to find ideas for Mother's Day cards! Yes, Mother's Day is right around the corner on May 9th....so we'd better get busy! This is a checkbook cover! Remember Trudy who did our little cupcake stamp and tutorials? She's back and she's brought a friend with her! You are going to fall in love with her little bunnies! Note to my mom: If you love this one, wait until you see the next bunny! Yes, ladies, if you love bunnies, you can look forward to another adorable bunny in a couple of months! Here is our value verse for the month of April! Enjoy! Remember, our value verses are 20% off retail every day! Look what Charlie is doing now....do you think he will fool the bees and get some honey? If you in in to vintage, this little hat makes a great accent any card or scrapbook page! Now a baseball cap stamp is useful for so many projects, pages, and cards! Isn't Katie's card clever? A door made with a rectangular spellbinders die! Who knew??? This little set is a must have for any stamp collection! Beautifully combined in different fonts, this set covers just about every occasion you will ever need! I just love this set! I'm sure any of our 50's era friends do too! I have a car collector friend I will be making a birthday card for with this set! Too cute! Wendy has the below additional digital images to coordinate with your 50's stamp set! You can get them here! Oh, this little bug is so adorable! I think I will have to make my daughter a little art journal with this doodlebug on the front. She just loves to doodle! It would also be cute on a little pencil or crayon holder! Don't you just love umbrellas and butterflies for Spring? This little set is so versatile! Use it for a praying for you, comfort, baby shower, witnessing card, and so much more! 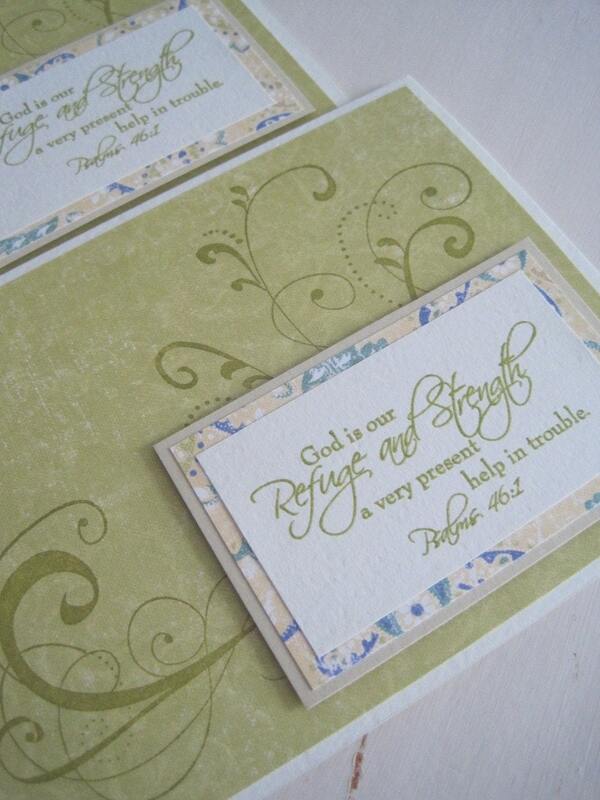 I designed this set with the intentions of it being very simple....perfect for beginners in any church card ministry! Graduation is coming! Everyone usually knows one graduate that you need a card for, and these little stamps will be perfect for the occasion! Hi Friends! Its Katie here hoping that you have been having a great week. We're in double digits now and I'd like to welcome you to challenge number 10. We haven't had a sketch in a while so that is our challenge to you this week. As with any of the sketches here, feel free to rotate or add your own spin as long as the basic sketch can be seen. And to get your creative juices flowing here are some members of the Clear Dollar Design Team with some fabulous samples to share with you. Please leave a comment for them here or stop by their blogs if you have time. Please use the Mr. Linky below. 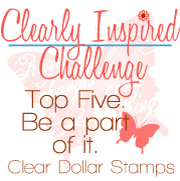 All I ask is that you post on your blog that you are playing along with Clearly Inspired Challenges sponsored by Clear Dollar Stamps and provide a DIRECT link to your new card and/or project! You have until next Thursday evening (late)- April 1st to join the fun and get a chance to win your choice of stamp set. Can't wait to see your cards/projects. Hey friends, its Katie here to welcome you to another Tutorial Tuesday. Today, I've got a great little project that I've seen before throughout blog land, but had never made myself. I chose to create a card that would be perfect for Easter and provide a little something for afterwards too. I'm talking about the tri-fold card that the "tri" part is a detachable bookmark. I think whoever thought of this is brilliant. I love the concept of giving something that is truly usable too. I created this project using two of this month's releases called Jesus Paid it All and Psalm 37:3-5. Even though the month is closing in on us, there is plenty of time to pick some great stamps. Here is your basic photo of most of the supplies I used to create this card. I always use ATG tape as my adhesive, my handy scor-pal, acrylic blocks, nestabilities. You will need to start out with a card base measuring 5 1/2" x 11". Due to the folding of the card, the actual card dimensions are 4" x 5 1/2", just slightly narrower than the standard A2 card we are generally used to. You will want to score your card at 4" and 8"
Then use the tracing tool to create the perforations on the cardstock. I ran it over on the front and back so that it will detach easily when its time. Ironically, I've used this tool more for paper crafts than sewing and it is an old tool. This is how it will look when folded (the right side will not be the same size as the left and is the "detachable" section. Now its time to create our card front. I used 3 pieces to layer and basically decreased dimensions by just an 1/8" for each smaller layer. I used Rich Cocoa Memento ink for my image and then used an oval nestability from Spellbinders to cut my image out. I then used some of Tim Holtz distressing ink and sponge to sponge my edges... dab on scrap paper first before using a circular pattern to create the look. I wanted a bow on my card so I wrapped and tied before I put my card front on to my base. When you do it this way you don't have to worry about placement because you can move the whole thing after the bow is tied. I then cut another mat with my oval nestability for my stamped image and then placed it on to the card front. Then its just a matter of attaching the card front to the card base. This is generally how I create all my cards and I just flip the whole front over bow and everything and apply my adhesive. It gets a bit bulky around the ribbon, but I'm just careful. Now its time to create the bookmark section. I cut out my cardstock and again went with 1/8" smaller increments. I created the base to match the exact size of the right card front. I then stamped my Psalm on my white cardstock... so easy to do with the clear stamps. Then just adhere all pieces. Then used the punch out as a guide to punch through the card base. Then its just a matter of adding some matching ribbon. Thank you for visiting us here at Clearly iStamp... have a wonderful Tuesday! Just a reminder that we are having another Challenge coming up this Friday! Come back and join us. Hi friends! Thank you to everyone that came and participated in our Think Green Challenge this past week. You all definitely brought on your green. For those of you that celebrate a little or a lot for St. Patrick's Day, I hope you had a good one! Sara, please email me (Katie) at mypaperhaven@gmail.com with your choice of any stamp set and your snail mail address. Now for our Top 5 Inspirations. If you haven't noticed on the side bar, we've got a new Top Five badge for you if you would like to swap yours for the new one. 5.Sue Walsh - A Consuming Passion! Thanks again to everyone that came and joined us this week! Have a great weekend!